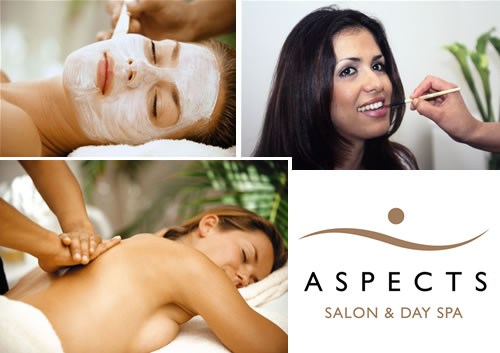 ASPECTS SALON & DAY SPA is a friendly, energetic salon located in the heart of the Wanaka. Our skilled therapists love nothing more than assisting a wedding party to get ready. We have the passion to create a calm and confident atmosphere, scheduling the perfect mix of treatments contributing to a stress-free and completely personalised wedding experience. Imagine the bride, her bridesmaids, the mother of the bride and the mother-in-law-to be, all being relaxed and pampered together and sharing in a bottle of bubbles (or two!). It does not have to be just the ladies – bring in your men for relaxing massages, express facials and manicures. Morning or afternoon sessions, or custom evenings can be organised for the whole extended wedding family. These can be just the tonic needed to break away from all the organising, appointments, influx of visitors and decision-making that happens with a wedding. A trial appointment is recommended for weddings. Our therapists will discuss your make-up needs and demonstrate a look that would best suit your skin tones and features, and compliment your dress colour and style. Time is taken to create the make-up style to be flawless and glamorous to satisfy hopes and dreams. Wedding make-up is generally contemporary, fresh and unique although can be as striking or funky as preferred. Extra consideration is taken for clients with sensitive skin-types with our in-salon use of Jane Iredales’ mineral “The skin-care make-up” range. Consider an aromatic exfoliating and moisturizing body-wrap, or a relaxation or invigorating Massage. These are perfect treatments to release some muscular tension to allow your body to enjoy some harmony and balance before the wedding day. We know and appreciate the effort needed to get that look you love and offer the full range of tinting, shaping, bleaching and waxing, along with classic and deluxe manicures and pedicures. Take the time to nurture your hands and feet, and not just the nails in order to be ready for all those camera angles! Call in, phone, or email to talk to us about some planning options that will work for you.